Ofc. Lex Popovich has been working in law enforcement since 1995 where he started with the Plantation Police Department in South Florida. He moved from Florida to North Carolina and joined the Gastonia Police Department in 2005 and he is currently assigned to the Traffic Enforcement Division. Prior to that he served on Patrol, Street Crimes Unit, and is a current member of the Gastonia S.W.A.T. Team and Honor Guard Unit. Ofc. Popovich is certified from Texas A&M University in Traffic Crash Reconstructions. 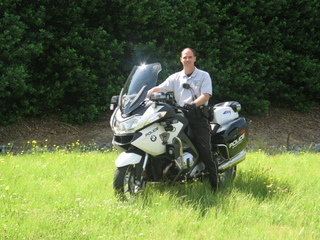 He completed the NC State Highway Patrol Police Motorcycle Operators Course in April 2013 and attended Gaston College's Motorcycle Safety Basic Rider course.